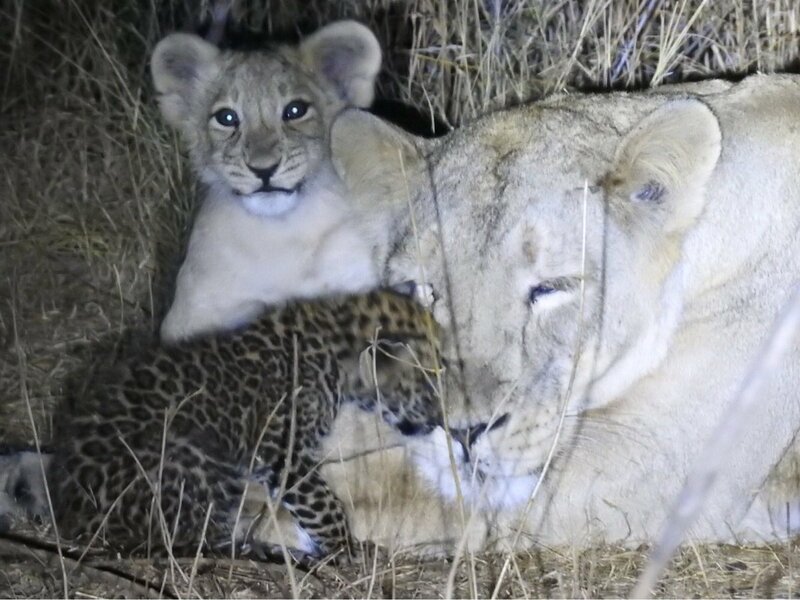 Junagadh: A leopard cub which was under care of lioness died yesterday in the forest of Gir in Gujarat. 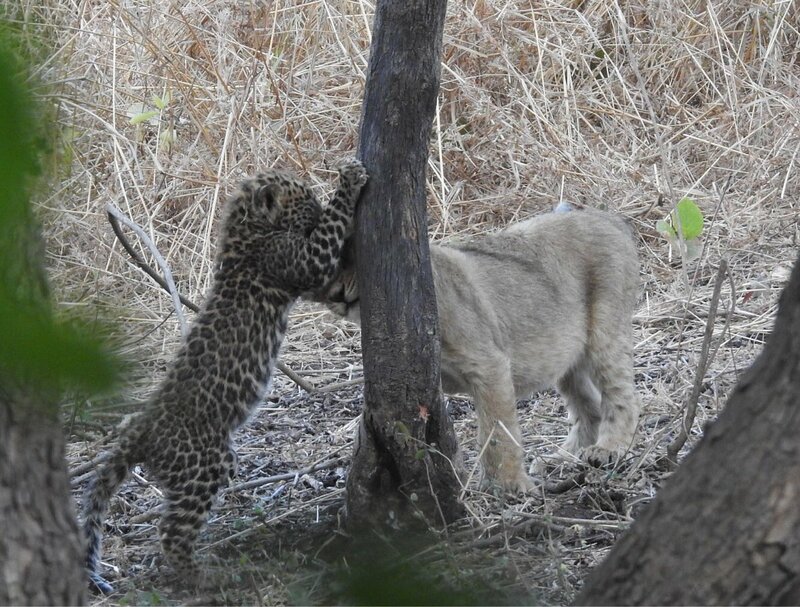 A leopard cub was suffering from congenital femoral hernia which caused its death. 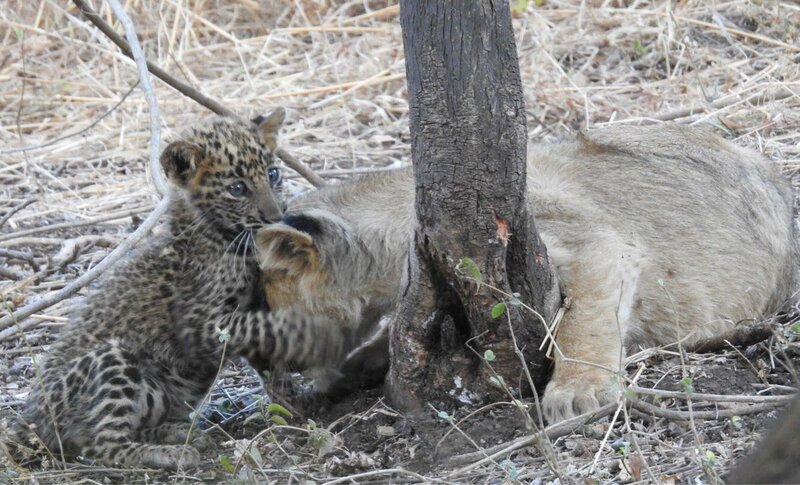 It was in 45-day long association with lion family, informed DCF Gir-West.